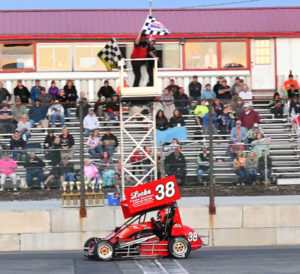 Home of the #37 ISMA Supermodified, the #38 Ryan Locke NEMA Lite and soon to come the #88 Chase Locke NEMA Lite!
. : 50 Lap Race for the LITES :. In the NEMA Lites feature, Ryan Locke worked his way into the lead in the early stages of the event. Over the first fifteen laps of the fifty lap feature, Locke would stretch out his lead to nearly a straightaway, after passing Ben Mikitarian. 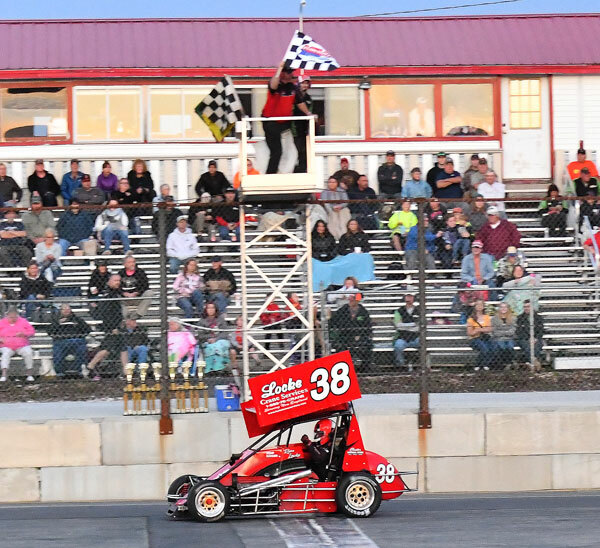 The running order of the field at the halfway point, was Locke, Mikitarian, Richie Coy, Randy Cabral, and Danny Cugini. A lap thirty two caution bunched up the field, but when the green flag flew, it was all Locke at the front. Coy and Cugini would advance past Mikitarian and the two would tighten the gap amongst each other, but would have nothing for Locke at the front of the field. As the laps wound down, Locke would continue to set a quick pace in the low 14 second range. Locke would go on to take down his second win of the season over Richie Coy, Dan Cugini, Ben Mikitarian, Randy Cabral, Jake Trainor, Kyle Valeri, Tyler Rivard, Jim Cataldo, and Paul Scally. 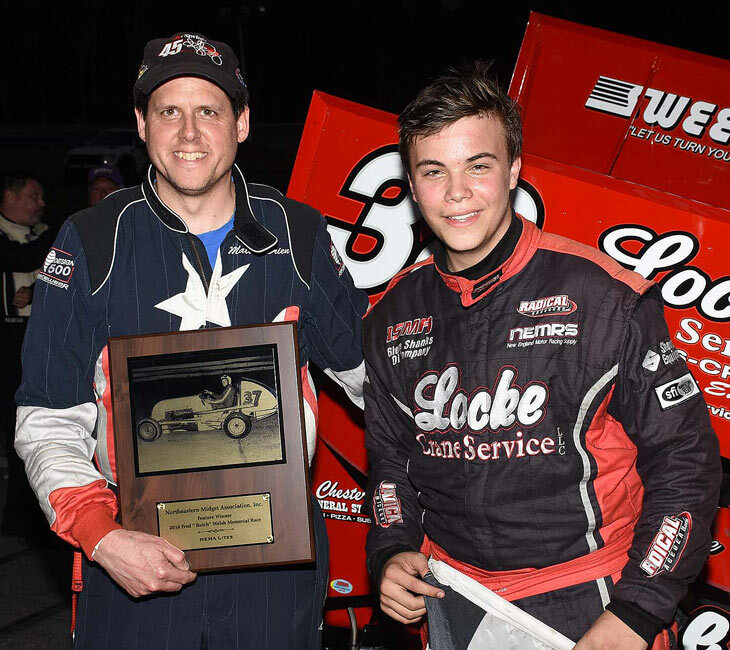 In the Lites race, Ryan Locke ended a number of weeks of heartbreak after four engine failures, to take down an emotional victory for him and his family. 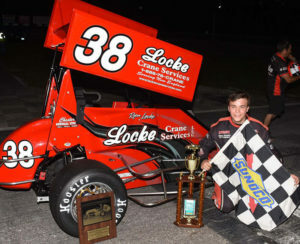 A stress filled day saw Locke start the day with high school finals, and end the day victorious on Star’s victory lane. 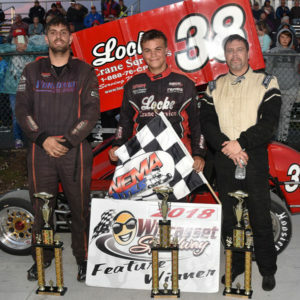 Locke cruised to victory from his front row starting spot, but was not without competition, as Jim Chambers came from deep in the field to finish second, and Richie Coy who had his best run so far this year was third, Dan Cugini, Ben Mikitarian, Rob Richardi, Kyle Valeri, Jake Trainor, and Bruce Finley rounded out the top ten. “The night before we spent the entire day on the car with the Cugini’s – being a stressful day already with me having finals that morning. Ended up getting the car together that night staying up till 3 in the morning Saturday to wake up at 7 that morning. We packed up everything and headed our way to the track. I kept thinking about the 4 motors we had been through already and the misfortune we had had in the previous races hoping that this would be different to at least get through practice. Car got through practice like a rocket ship handling great all day,” said Locke. “The race couldn’t have gone any better considering the start with 1st and 2nd both going wide in the second lap from there it was managing tires and managing the tightness in three and four changing lines to be faster. I can’t thank everyone enough when it comes to that nearly all nighter from the Cugini’s and my family to all the sponsors – Locke Crane Services, Shawmut Equipment, Chester General Store, and Sweet Manufacturing – for the support to get us where we are now,” said Locke . © 2013 Locke Racing. All rights reserved.